With demand for home health aides on the rise, you may want to consider a change in career for job security in the future. This career is also for recent high school graduates who want to go into healthcare but do not want the expense of completing a four-year or longer degree program. It is easy to enroll in home health aide training classes in NYC at ABC Training Center. Home health aides provide valuable services for those that need medical care and attention in between periodic visits to their primary healthcare provider. In addition, home health aides assist those with disabilities, short-term and chronic impairments, and short-term and chronic illnesses, as well as people recovering at home following surgical procedures. Administering prescription and over-the-counter medications. Taking the patient’s vital signs and recording them. Educating the patient on proper nutrition. Helping the patient prepare meals. Assisting the patient by going with them to doctor’s visits, shopping, and other errands. Spending time with the patient for various activities, such as going to the park, reading, talking, or playing games. Assisting the patient with exercises. Providing basic personal care, such as bathing, dressing, and grooming. Replacing sterile dressings and monitoring wound healing. Assisting the patient in an out of bed and/or transferring to or from a wheelchair. Helping the patient do laundry. Keeping accurate records of home visits, including travel time, time with the patient, and what services were performed during the visit. 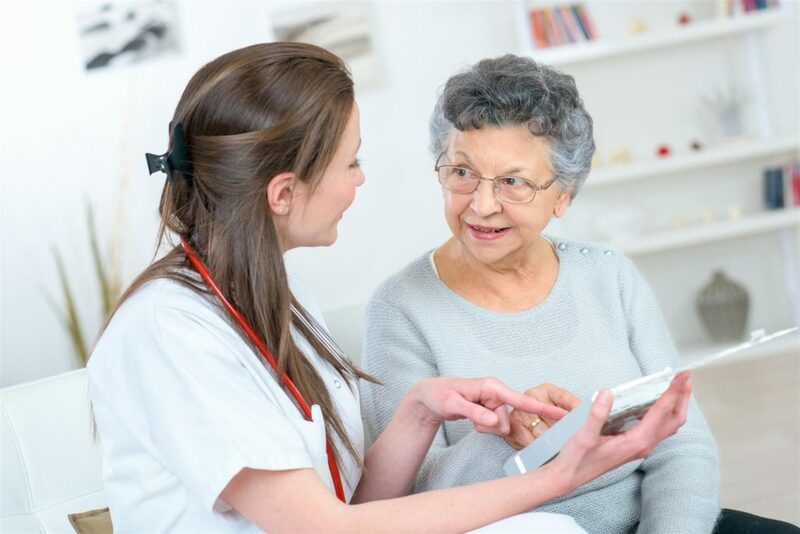 As you can see, the duties of a home health aide do involve a wide array of medical and healthcare tasks and services, as well as quality of life services. Aside from the above daily responsibilities, home health aides will interact with other healthcare professionals. They may consult with patients’ doctors, nurses, and medical assistants. Additionally, prior to their daily home visits, they often meet with another healthcare professional to discuss each of their patients’ needs, healthcare requirements, and various services they would like provided. What Is the Typical Work Environment for Home Health Aides? Most home health aides spend the majority of their time in their patients’ home. They also spend a small portion of their time at their agency to meet with their supervisors, attend meetings, and do other administrative office tasks, as required. Since home health aides perform their jobs in other people’s homes, they must be adaptable to a variety of living conditions. For instance, some people may have different types of pets, like cats, dogs, fish, or birds. You may also encounter homes that do not have air conditioning or older styles of heating. In some cases, some of your patients could be in homes that are cluttered and not that clean, often due to mobility issues. It is best to have an open mind and remember you are there to assist people and take care of their needs. Taking time to get to know your patients shows you truly are concerned about providing genuine human care, regardless of the patient’s current living conditions. How Long Does It Take to Become a Home Health Aide? 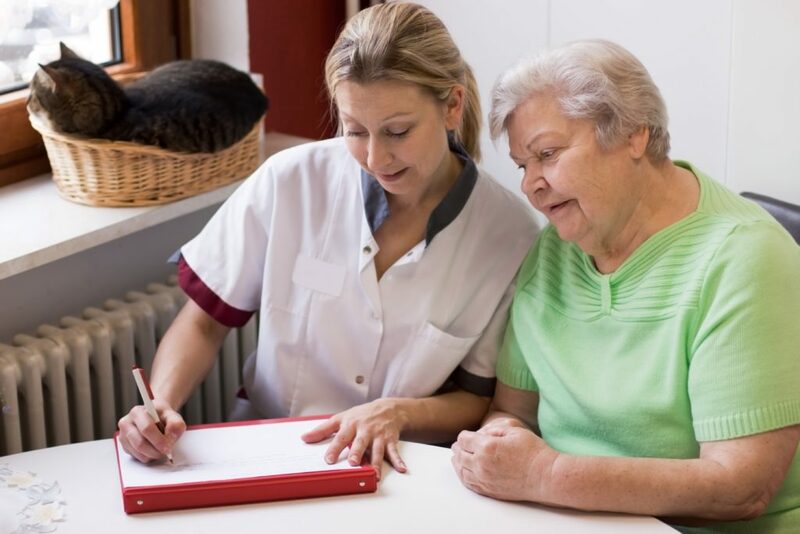 Unlike certified nursing assistants (CNAs) and registered nurses (RNs), who can spend years working on their education and have a host of requirements, becoming a home health aide takes a shorter period of time. Our home health aide classes in NYC include many of the same skills of CNAs and RNs, along with other necessary skills required for this type of healthcare career. Best of all, you can complete your training in as little as three weeks and be ready to start your new career. In addition, our tuition rates are some of the lowest in the NYC area. We will also help you find a suitable position after completing your program and earning your certification as a home health aide. If Spanish is your primary language, we are the only major training provider to offer this program in NYC in Spanish. To learn more about our home health aide certification program or our other medical training programs in NYC, please feel free to contact ABC Training Center at 718.618.5589 today!